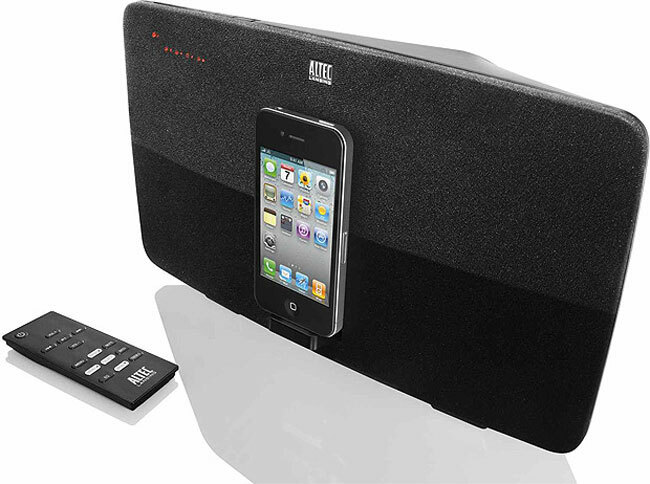 Altec Lansing has added a new speaker dock for the iPhone and iPod to its range, the Altec Lansing Octiv 650, which is compatible with both the iPhone and the iPod Touch. The Altec Lansing Octiv 650 features component and composite out connections which means that you can hook it up to your TV and play movies and videos from your iPhone or iPod Touch on your TV. The Altec Lansing Octiv 650 will go on sale in the US in may and will retail for $199.95, you can find out more details over at their website.